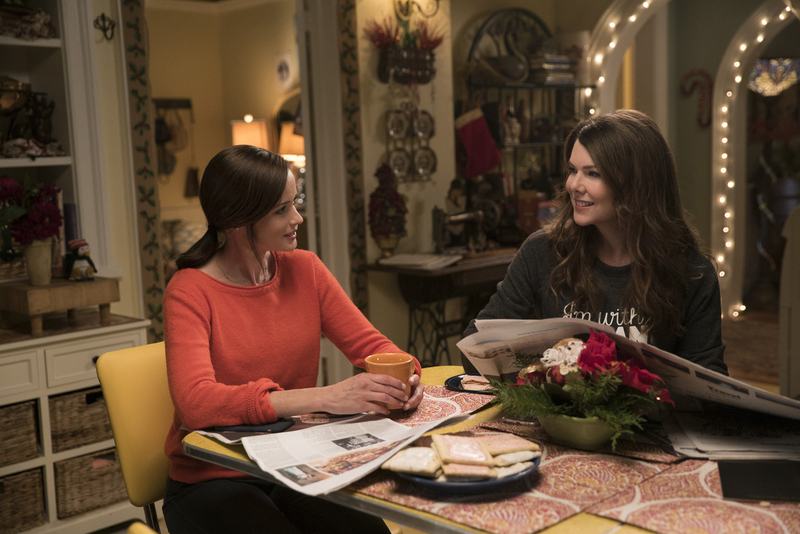 The release of Gilmore Girls: A Year in the Life is quickly approaching, and do you have plans to binge it yet?? While it’s awesome to call up your own Lane and watch it with her, what about giving mom a call instead? The core relationship of the show *is* between a mother and daughter, you know. 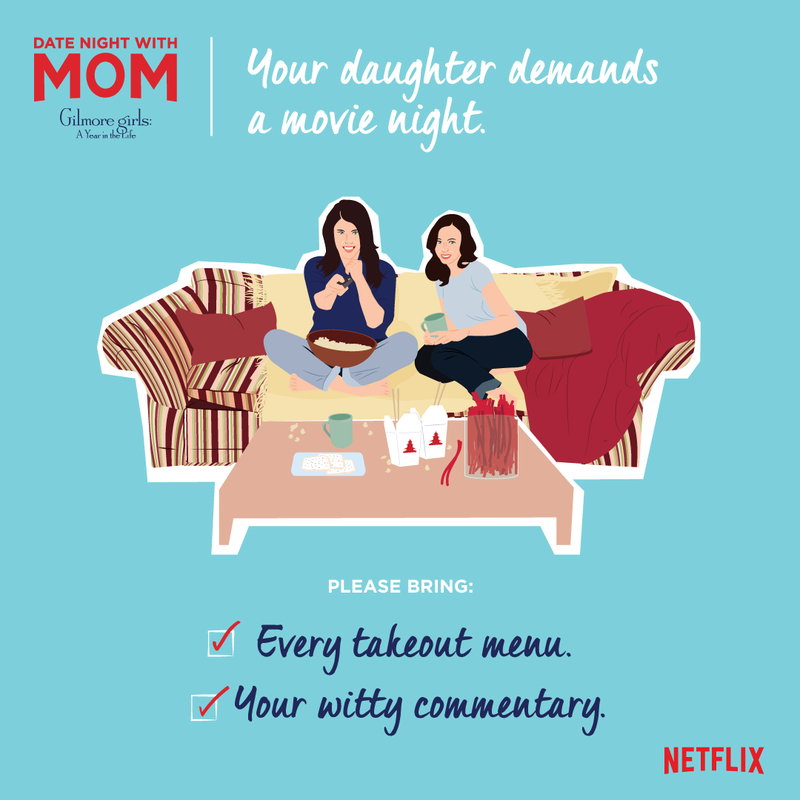 If you’re suddenly thinking about calling mom, here’s another great reason: Netflix has actually just released some data that will DEFINITELY make you pick up the phone ASAP. They conducted a mother-daughter survey and found that 53% of ladies out there wished they talked to their mom more often. And you know what’s a great topic to discuss? TELEVISION. 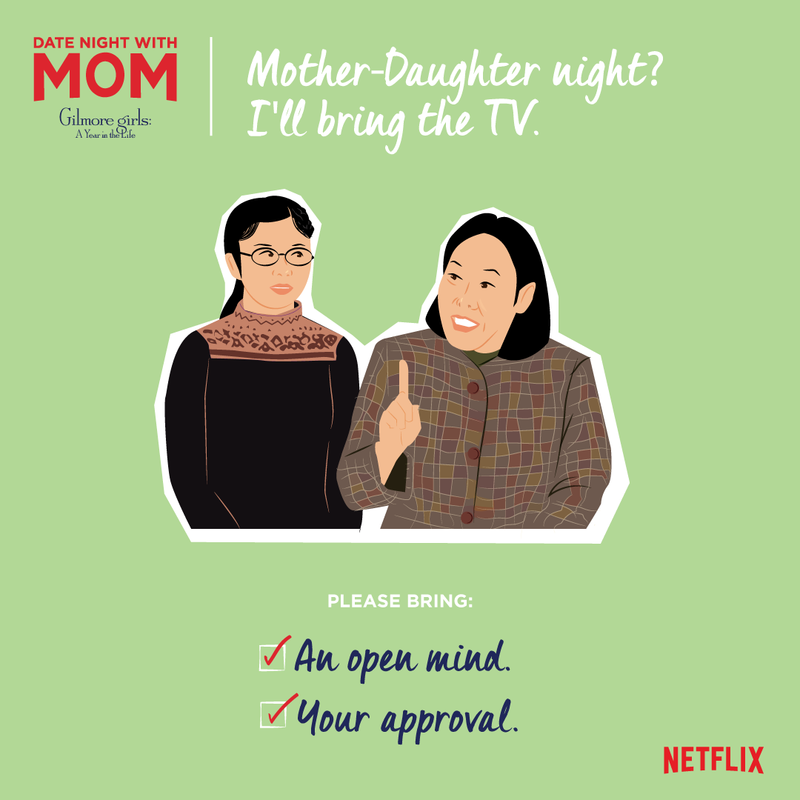 Netflix discovered that 41% of mothers and daughters who watch TV together feel like they’ve grown closer, and we love that number. 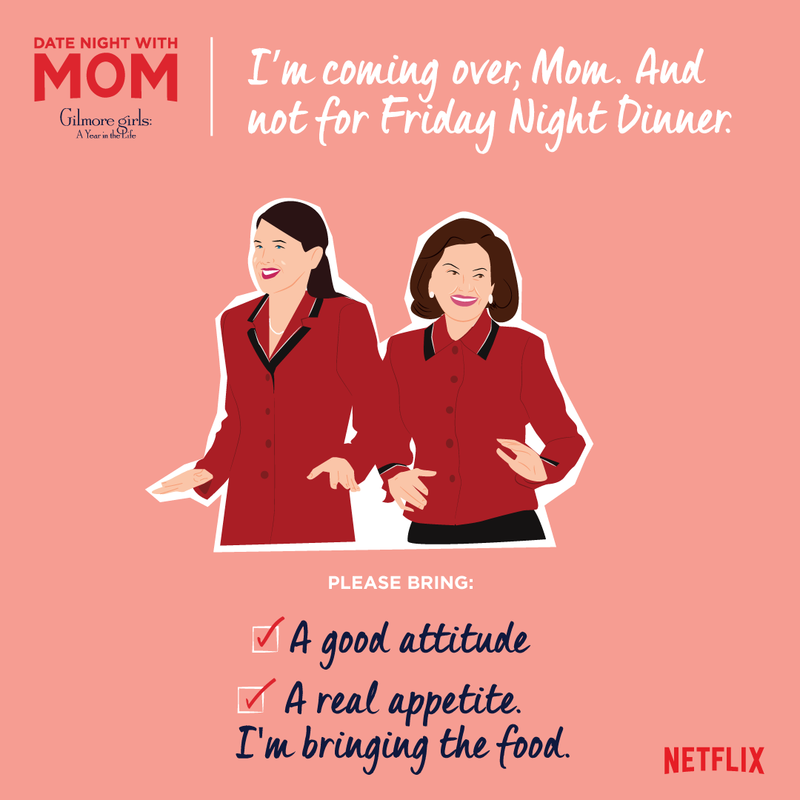 But let’s go ahead and try to aim for 100%, and you can start by inviting your own mom over to binge Gilmore Girls (or, start dropping some hints that you want to swing by your mom’s place). 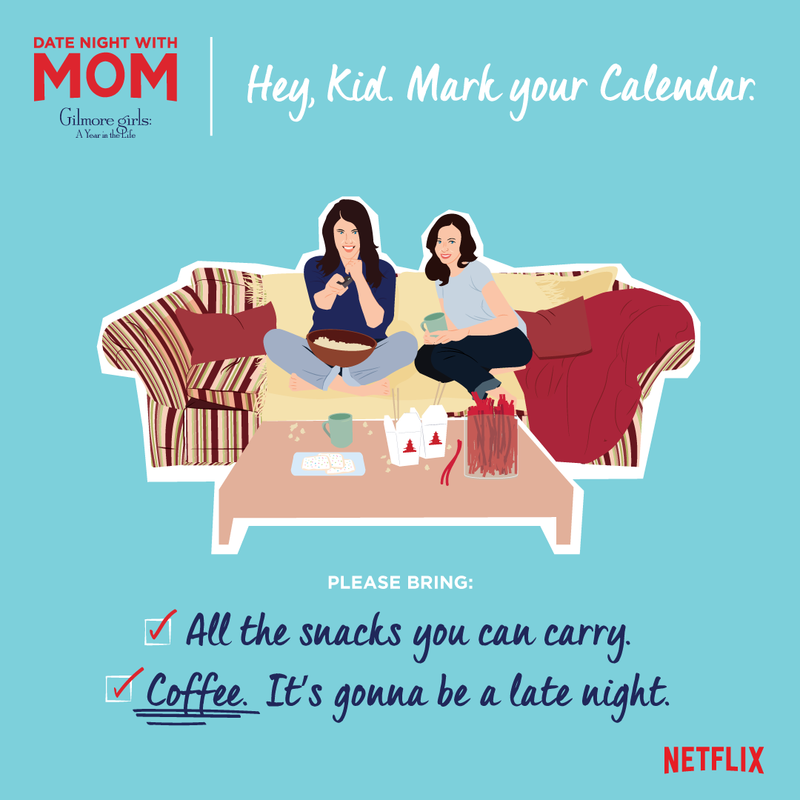 We’ve also got a look at just what your ~Gilmore Girls and Chill~ night might look like with mom — Kirk, not included. From Mrs. Kim, to Lane. From Lane, to Mrs. Kim. 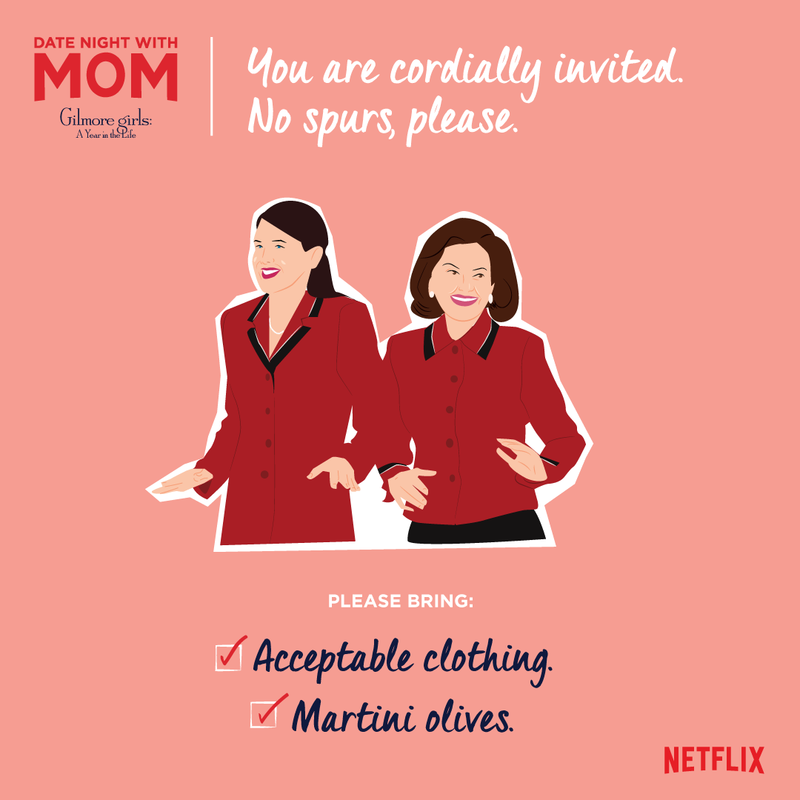 So, time to get planning on your own date night with mom. Just be sure to allow enough binging time for FOUR SEASONS.